There remains much heated discussion with trepidation on the decline of the Zoroastrian population, which currently stands at up to 200,000 worldwide. The same topic has also been covered by mainstream western media, e.g., A Religion in Decline: Zoroastrians keep faith, and keep dwindling (The New York Times September 6, 2006.) Whereas Iran with its current revered Zartushti population of up to 30,000 is recognized as the birthplace of the first monotheistic faith over three thousand years ago, India has double the number eminently present, i.e., 60,000 Parsi Zoroastrians thriving there; the Parsi pilgrims arrived from Iran to the shores of Gujarat and Mumbai in two mass exodus of 1300 and 600 years ago, due presumably to the emerging of the new dominant religion and its repressive persecutions of the non-converts. There are also a rapidly growing new diaspora population of up to 50,000 Zoroastrians in the rest of world, with major communities in the U.S., Canada, Pakistan and the European Union, and smaller clusters of up to a few dozen each, in literally any major cities globally. Intermarriages with non-Zoroastrians especially among the Parsis of India in particular, has been hitherto frowned upon for concerns associated with dilution of beliefs and [Parsi] identity. Nevertheless. Intermarriages with non-Zoroastrians, especially in diaspora communities, has been slowly but steadily grown in the western counties of the past few decades. The Zoroastrians especially those in India have sustained an inward and conservative approach to safeguarding their community through adhering to the original religious rituals, essentially unchanged since the Sassanid dynasty. They have by and large avoided proselytization or information propagation about the faith or their cultures to others, anchored on a non-confrontational noble reason of non-interference in other human lives; this has in turn, further made vulnerable the otherwise opportunity for the community expansion since its inception. The four hundred years of declaring Zoroastrianism as the official religion and over taxation of the infidels and enforcement of caste system by the Sassanid Empire in Iran backfired as it may have in part paved the way for their rapid overthrow and occupation of Iran by the Arabs and conversion of the disgruntled masses to Islam. Simply put, evangelization with the mighty power of sword has proved far more effective in conversion of the so-called, “infidels” to Christianity and Islam. Moreover, almost all religions are in decline if not in self-association, then, in those adhering to strict practice due to advances in sciences, technology, information and transportation revolutions and the socio-economic and educational achievement of all community worldwide, Zoroastrians included, are enhanced; Zoroastrianism as a strict religion cannot remain invincible in such context. In so much as the Zoroastrian communities of India and Iran in particular, may aspire to keep their faith and culture untouched, all indications are that in much the same manner that Zoroastrianism has influenced the inception or modification of other faiths and cultures since antiquity, that it is itself influenced by other faiths or by modernization. Such phenomena has in particular, been increased immeasurably since the early 20th century and still accelerating, due in part to rapid socio-economic and educational transformations, media, and information and internet revolutions. As much as one is believed to retain [puritan] faith and identity, all modern genetic data corroborates the historical mixing of gene pools for us. 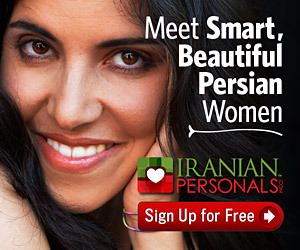 For instance, although some attribute with nostalgia the pure Persian Aryan race to the 80 million Iranians, all modern genetic analyses prove the Persians to be of heterogeneous gene pool, which contains in addition to their pre-historic ancestry, bits of genes and biomarkers from literally every neighboring community in south, south-central and southwest Asia. One might argue the same heterogeneity, presumably to lesser extent, to also apply to Zoroastrians, albeit in lieu of their historical protectionism and isolation since at least a millennia ago. A religion as profoundly contextual as Zoroastrianism, is truly a complex doctrine with its foundation, philosophies, and anchored on Avesta, Yashta, Gatha, Yasna and Vandidad scriptures in ancient Avestan and old Persian Pahlavi languages, and multi-dimensional scope on life in nature. However, very few in our community are rather independently versed with the deeply embedded religious aspects of the faith, especially in reginal languages. However, anchored on such rich foundation has emerged a more pragmatic cultural rituals, psyche and way of life, to which we all, Zoroastrians or none, recognize, observe, and embrace. Good Thought, Good Word, and Good Deed, the three Zoroastrians pillars founded on the concept of light aka illumination denoting knowledge and enlightenment, is now ubiquitously embedded into every major religion, socio-philosophical and righteous way of live to serve justice on the earth. The seasonal Zoroastrian celebrations of Nowruz, Tirgan, Mehregan, and Ylada (birth of Mithra, sun, light) are most definitely intertwined with the psyches and lives of up to 250 million inhabitants in Iran, Afghanistan, Tajikistan, and the Kurds in the central Asian, Asia Minor and Mesopotamian and the Caucuses regions. Fulfilling the life purposes, including achieving the highest education, and acquiring and utilizing knowledge and skills to contribute through philanthropy, volunteerism and altruism toward advancing humanity, while sustaining a loving and nurturing close-knit family are other aspects of Zoroastrianism. Who could anywhere and anytime, with a reasonable state of mind, not subscribe to these noble humanistic values?! Hence, rather than adhering to an all-out inward and strict perception of one size should fit all within the sequestered and now increasingly scattered Zoroastrian communities, and while reaffirming our commitment to safeguarding the deeply rooted religious aspects of the faith for those who genuinely wish to practice it, why not embrace other non-Zoroastrian communities (Iranians-Afghans-Tajikis et al) and celebrate with them the myriad cultural rituals as exemplified by Nowruz currently observed by more than dozen nations, that we all have in common?! After all, had it not been for the emancipation of the people of Jewry from captivity by the Babylonians, and their salvation and protection by Cyrus the Great of the Achaemenes Empire, that Judaism that incorporated many Zoroastrian principles into the Torah and Talmud-which in turn, became the basis for Christianity and Islam-would have not followed, would they?! In Iran, there has intensified an ever present nostalgic yearning by many, to re-discover their historical heritage as narrated in 30,000 verses recited in 30 years by Ferdowsi aka the Persian Homer, in his poetry compendium Shahnameh, the Epic Book of the Persian Kings of the Pishdadian (remember King Jamshid the founder of Nowruz!) and Kayanian Dynasties. These chivalry poems have been recited musically in every tea or coffee house in Iran, Afghanistan and Tajikistan for millennia. In fact, reading back half a verse to an Iranian anywhere, literate or not, would immediately conjures up Shahnameh in his or her mind to complete the second half verse! In doing so, Iranians have reconciled a harmonious equilibrium between their faiths and national identity anchored on plethora of poetry and prose literature traced back in time. Epitomizing, the merit and need, more than ever, to strike a delicate and yet powerful balance between observing faith inwardly and sustaining the Zoroastrian community identity on the one hand, and reaching out to non-Zoroastrians epically through celebrating the common cultural rituals as Nowruz and common paradigm of life among others on the hand, is NOW. The Rapidly emerging Zoroastrian Communities especially the youths outside Iran and India, should provide the leadership for such ambitious proactive plan of action before it is too late. The more effective use of internet, social media, etc. not only to bring the Zoroastrian communities together worldwide, but also more importantly, to showcase our heritage and seminal historical and contemporary contributions to the boarder human community and to embrace everyone irrespective of their race and identity, religion, faith or lack thereof, is NOW. Whilst, one might argue the Zoroastrians of Iran are less restrictive and thus more engaged with the mainstream Iranians, due in part their common observances of pre-Islamic celebrations as Nowruz, the sub-science obedience of the three pillars of Zoroastrianism, and a renewed awakening to yearn understand their distant past, the communities in the [free] west are emerging as providing the leadership. FEZANA, commutating its first 30 years anniversary, is one of the most effective platform to ensure sustaining and growing the propagation of Zoroastrianism, not as a religion in the strictest sense of the word per se, but rather as a plutonic social phenomenon that transcends all, and embrace commonalities with global cultures. Hence, let me reiterate, the merit and urgent need for a fundamental paradigm shift, for the Zoroastrian communities in diaspora especially in Europe and North America and as exemplified by FEZANA and the youths, to sustain, advocate, showcase and expand Zoroastrianism, not necessarily as a strict religion, but far more importantly as a viable way of life and celebrations therein, is NOW. The bird Simorgh as it appears in Shahnameh and Persian mythology, is the metaphorical Persian equivalent of Phoenix resurrecting from the ashes. what is more important, is the inner meaning of the prefix Si, 30, to symbolically signify when 30 birds fly together in harmony, they ascend as one giant bird toward attaining faravhar, the ultimate true of essence of Ahura Mazda, God. Well, speaking of 30 Persian birds of paradise, allow me last but not least, to take the opportunity to congratulate the 30th anniversary of FEZANA, and in optimistic yearning that its one Simorgh, that is 30 birds, would only sustain and soon celebrate its 30×30=900 years’ anniversary around the corner of the historical path!